Near the end of his 14-year-long run, Microsoft’s head honcho, Steve Ballmer, did a pretty bad, not-so-great thing and bought Nokia’s phone business. We know this because Microsoft just admitted it by writing off that entire $7 billion purchase and laying off 7,800 people, most of whom work directly on Microsoft phones. Does that mean there won’t be any more Windows Phones? No, there almost certainly will. 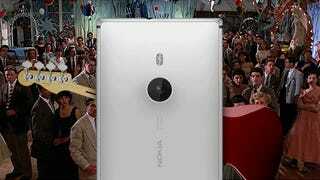 In fact, Microsoft is still working on two new flagship Lumia devices, if you believe the rumors. But the honest truth: this is probably the final nail in the coffin for Microsoft the phone company. The final nail, because Ballmer’s replacement—Satya Nadella—has been hammering them into that casket like mad. There’s a wealth of evidence that Microsoft’s been giving up the smartphone ghost for a while now. First off, it aggressively acquired some of the very best productivity apps out there, like Wunderlist, Sunrise, and Acompli, to shore up its software presence on iOS and Android. (Not just Windows Phone.) Microsoft’s newest app Tossup, an app designed to help you plan events with friends, isn’t even offered on Windows Phone. Then there’s been the systematic Great Migration of Microsoft’s own premiere apps to Android as well. Not only are some Microsoft’s apps not exclusive to Windows Phone, you can actually get them preinstalled on competing phone platforms now. Microsoft struck up a deal with Samsung to pre-install apps like OneNote, OneDrive, and Skype on to the Galaxy S6, then swiftly came Dell, LG, Sony, and other smaller international OEMs. Microsoft even partnered up with Cyanogen, a community-built fork of Android that might as well be another competing operating system. During Build 2015, the company’s developer conference, Microsoft basically killed any incentive for developers to create apps that natively target Windows Phones by giving programmers a new way to “easily” port code from Android or iOS instead. So now it makes even more sense to build Android or iOS apps first, and then maybe put them on Windows. Oh, and we can’t forget Cortana, perhaps the most interesting Windows Phone feature of all. Microsoft’s excellent Halo-inspired personal digital assistant—once touted as exclusive—is coming to Android and iOS as well. And through all of that (yes, I realize it’s quite the list), Microsoft didn’t release even one smartphone that could be considered a flagship Windows Phone. Last year, we had the Lumia 830, which AT&T got ahold of and Microsoft deemed the “affordable flagship” and at Build 2014 we got the pretty great 930. But Build 2015 came and went without even a passing reference to a new top-of-the-line pocket computer running Windows Phone. Two high-end devices are reportedly coming sometime this year, but we’ll have to wait and see. It’s possible Microsoft is damming the device river until July 29, Windows 10’s release date, and then a consumer gadget flood will be upon us, but a flood seems unlikely considering Nadella’s choice of words in a memo addressing the big Microsoft mobile changes. An “effective and focused phone portfolio” doesn’t exactly scream “here comes the phones!” And you shouldn’t necessarily think that other manufacturers will pick up the slack if Microsoft isn’t pushing phones hard all by itself. Every time Nadella makes a move that suggests Android and iOS are the winners, not Windows Phone, it further dissuades other smartphone makers like HTC and Samsung to slap Windows 10 on their upcoming hardware instead of Android. How much do you think they want to use Windows Phone now that Microsoft has financially admitted it wasn’t remotely worth it? There’s a pretty simple explanation for all of this. Nadella’s Microsoft knows it’s lost the smartphone war. Android and iOS won. So instead of the previous “devices and services” strategy, Microsoft is going back to its original model of just selling the software. When you’re just selling software, you need to have your software everywhere, available to the widest number of people, so you reap the most reward. And without exclusive features that make your phones different and better than the competition, why bother selling the phones? Getting people hooked on its software and services is a game Microsoft could actually win. If Windows 10 is finally, truly a single operating system that runs across PCs, tablets, and phones—and if Windows 10 is a success that attracts app developers again—maybe the rising tide will make Windows Phones viable. But right now, Microsoft’s heart isn’t in the phone business. It hasn’t been for a while.